The first rule of historical criticism in dealing with the Book of Mormon or any other historical text is, never oversimplify. For all its simple and straightforward narrative style, this history is packed as few others are with a staggering wealth of detail that completely escapes the casual reader. Of course, this general method is not new or unique to Sorenson. He is not the first to use it, and he is not even the first to apply such a method to the Book of Mormon. (As Sorenson notes on pp. 9-10, Nibley began apply this sort of method to the Book of Mormon long ago.) 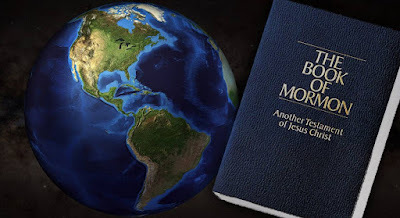 It is the basic methodology used in cases like the Book of Mormon by all kinds of scholars, though the exact application and sophistication of this method varies from scholar to scholar. Here, Sorenson appeals to the method as applied to the Bible by William G. Dever and Kenneth A. Kitchen (pp. 7-9), noting in particular that Kitchen’s is “more to my taste” because it has “broader evidential scope” (p. 8). That is, while Dever narrowly focuses on archaeology, Kitchen expands the scope to “a wider range of information made available by the complete array of methods used to study the ancient world such as art history, language, and epigraphy, as well as archaeology” (p. 9). Despite expressing preference for Kitchen’s “more anthropological and hence stronger” approach (p. 9), Sorenson spends more time describing Dever’s methodology of “convergences” between text and archaeology. It is evident, however, in the subsequent pages, which include some discussion on the limitations of archaeology and the complexity of interpreting in context with other disciplines, that Sorenson himself intends to draw on the same kind of wider, more anthropological scope of evidence that Kitchen uses. I draw from this the impression that Sorenson intends to apply a method more akin to Dever’s to a set of evidence more like Kitchen’s. Sorenson’s method is not going to be exactly like Dever’s, however. For more than a year now, Sorenson has conspicuously chosen to use the term “correspondences” as opposed to Dever’s term “convergences,” despite using Dever to introduce the concept. In Chapter 2, entitled “Getting Ready for the Comparison,” Sorenson provides this clarifying comment. This careful statement suggests to me that Sorenson’s word choice is deliberate. Sorenson understands a correspondence to be something different from a convergence, and hence his choice to use a different word than Dever suggests, to me, that Sorenson won’t quite be doing the same thing Dever does. It is Sorenson’s own unique variation of this common general method of comparing a text to its alleged setting. You can learn more about Sorenson particular understanding and use of correspondences, and even see a few preliminary examples, in his sixth chapter, “About Correspondences” (pp. 109-115). The rest of chapter 2 (pp. 17-25) consists mainly of a summary of his important Mormon’s Map, establishing the general configuration of Book of Mormon lands, and then a bullet list of the geographic features of Mesoamerica, showing the correlation. The purpose of this chapter is, of course, to establish the location we need to start looking at for comparisons. “Without a geography in mind, comparison of external materials with the book’s text will lead nowhere useful” (p. 17). Chapter 5, “The Nature of History in the Book of Mormon” (pp. 104-108), likewise summarizes the content of Sorenson’s previous work on the Book of Mormon as “lineage history.” Understanding the nature of the Book of Mormon record as it relates to history is obviously an important preliminary to making historical comparisons. Although it is a summary previous work, I still gained new insights from this latest iteration of a very important idea. Chapters 3 and 4 make up the bulk of this “orientation” (pp. 26-103). They are also the most unique and important contribution of the books introductory phase. In chapter 3, “The Book of Mormon in Culture History Terms,” Sorenson provides a comprehensive summary of the Book of Mormon. But in this summary, Sorenson doesn’t spend anytime talking about revelation or miracles. He speaks of tribal, ethnic, and class differences, culture shock and socio-cultural traits, “cults” (in a technical sense) instead of “churches.” You see, while Sorenson no doubt believes in the miraculous events spoken of in the Book of Mormon, Sorenson is aiming to describe the narrative of the text in terms that an anthropologist would use. And while some other LDS anthropologists might quibble with some bits and pieces of his interpretation, overall it is a fair reading of the text. This is important because one tendency we have as Latter-day Saints is to mentally and verbally affirm the Book of Mormon as real history, but then treat the text like it is a set of fairy-tales. If we are going to believe it is history, we should read it like history. This kind of reading of the text helps put flesh and bones on the people in the text, helps readers better relate to the seemingly larger-than-life characters, and makes us aware of the implications that understanding the Book of Mormon as history really has. Of course, scholars have been speaking of the Book of Mormon in culture history terms for some time now in their various papers and books; but this is, to my knowledge, the first time that a full summary of the book has been made in those terms, and done so relatively unattached to any other argument or theory (though there are a few occasional references to real world locations in Mesoamerica, for the most part readers can gain insight from this without necessarily excepting the Mesoamerican setting). As such, this is a valuable and useful contribution to the literature on the Book of Mormon. Chapter 4 comes from the other direction. “The Early Culture History of Mesoamerica,” provides a summary of socio-cultural trends in Mesoamerica from about 2000 BC—AD 400 without any reference or correlation to the Book of Mormon. Sorenson is careful to note where knowledge is more limited than usual, and often mentions various interpretations. When he is proffering scenarios that fall outside the mainstream views, he always mention the more orthodox view before going over the evidence that he sees as suggesting something different. What’s more, although Mormons like John E. Clark, Richard D. Hanson, Gareth W. Lowe, Ray T. Matheny, and Bruce W. Warren frequently show up in the footnotes (though they are by no means the bulk of the sources cited), not a single source aimed at a Mormon audience is used in this section. This chapter is important because it gives a broader view of Mesoamerican history, not so narrowly focused on the Book of Mormon. Most interested Latter-day Saints probably lack much of any kind of background on Mesoamerica, so having a go-to chapter where readers can get somewhat oriented to Mesoamerican culture history is another contribution that should prove useful and valuable. Overall, Sorenson gives his readers a solid and thorough “orientation.” Parts of it give the all-important explanation of methodology, others provide the summaries of his previous work necessary to make this book comprehensible to those who haven’t read his other books and articles (or at least haven’t read them recently), while yet others are all-new and all-important contributions to the literature on the Book of Mormon in Mesoamerica. Having been properly oriented, I am excited to sink my teeth into the meaty section of socio-cultural correspondences! Hugh Nibley, Lehi in the Desert/The World of the Jaredites/There Were Jaredites, The Collected Works of Hugh Nibley: Volume 5 (Provo, UT: FARMS/Salt Lake City, UT: Deseret Book, 1988), 237. 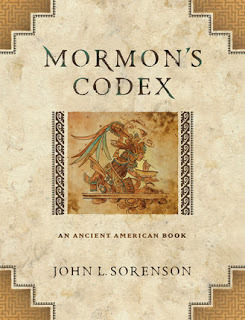 See, for example, John L. Sorenson, “Reading Mormon’s Codex,” 2012 FAIR Conference Presentation, given August 3, 2012. Online at http://www.fairlds.org/fair-conferences/2012-fair-conference/2012-reading-mormons-codex (accessed September 18, 2013). See John L. Sorenson, Mormon’s Map (Provo, UT: FARMS, 2000). In contrast to Mormon’s Codex, Mormon’s Map is more the just-over-100-pages variety of book, and is quite reader friendly. For the fullest iteration of this, see John L. Sorenson, “The Book of Mormon as a Mesoamerican Record,” in Book of Mormon Authorship Revisited, Noel B. Reynolds, ed. (Provo, UT: FARMS, 1997), 391-521, esp. 418-429, though the other parts of the paper also have things are that summarized in Mormon’s Codex, chapter 5.